We'll give you two guesses of what Puffs, or: Seven Increasingly Eventful Years at a Certain School of Magic & Magic is a parody of (and no, it's not facial tissues). As the young über-wizard whose name sounds like "Harvey Porter" comes of age, Puffs turns its theatrical focus on the less impressive members of his class, "giving you a front row seat to the sidelines of the world’s most famous magical journey," with uproarious results. The Off Broadway hit is playing now at the Elektra Theater; get tickets and details here, or win them from the BQT. You might live here 50 billion years, but you will never know the full, complete story of New York City. Perhaps the only exception: Mr. Jeremy Wilcox, the man behind Custom NYC Tours(and a longtime Big Quiz Thing fan, not completely coincidentally). A lifelong New Yorker, city polymath, and professional tour guide, Jeremy leads unique, trivia-packed heel-toe jaunts through NYC's least clichéd yet most fascinating corners. 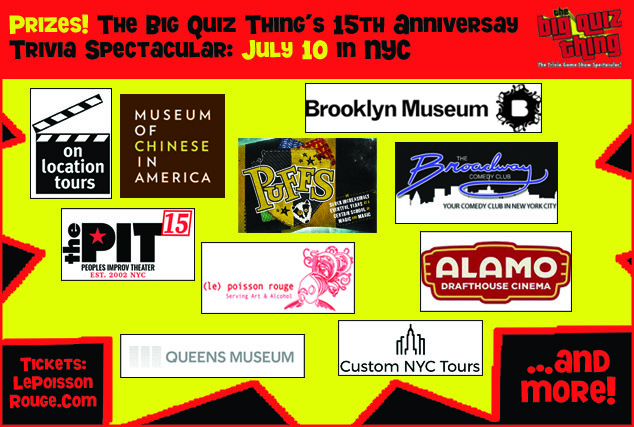 He's kicked a couple tours into the July 10 prize haul, but learn more—and book your own—at CustomNYCTours.com. Look who else is celebrating 15 years—The Peoples Improv Theater, one of NYC premier spots for on-the-fly comedy, plus a wide variety of classes on all things funny, for virtually all ages. 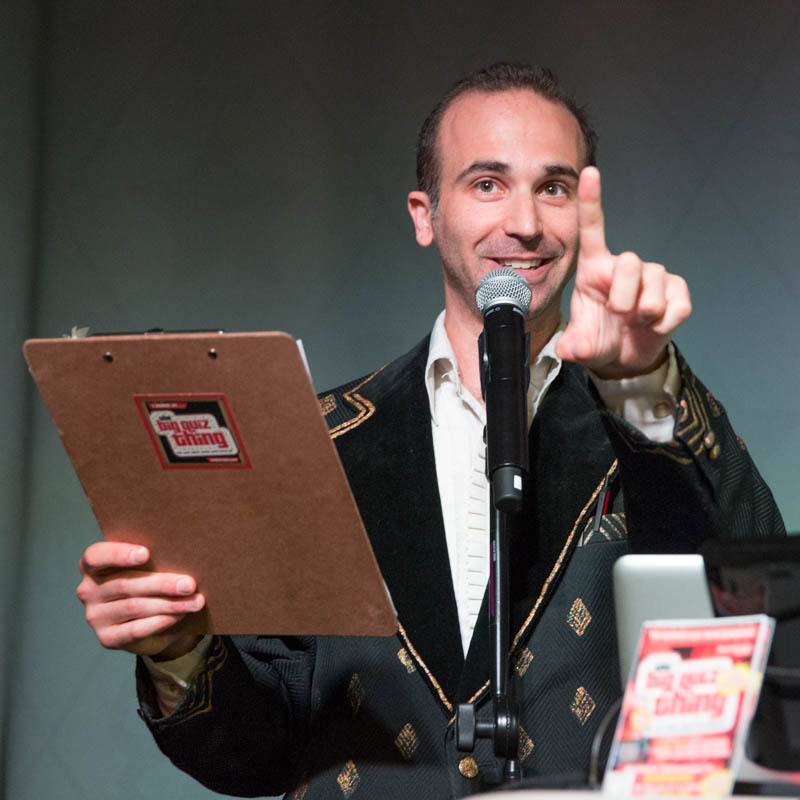 They present multiple shows nearly every night of the week (and if you choose wisely, you might catch a performance by BQT Quizmaster Rory Scholl). Pick a show, register for a class, feed the funny part of your brain at ThePIT-NYC.com and/or let us give you passes for being smart. And, after years, the wait is over (and has been for some months): The Alamo Drafthouse Cinema, most likely America's greatest movie-theater chain, is in New York City, specifically Downtown Brooklyn. Unique screenings, special events (including the BQT-affiliated Kevin Geeks Out variety show), private parties, seriously good food, all in the heart of the BK. 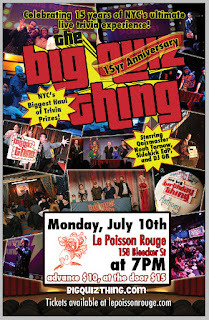 We've got some vouchers to give away; learn it all at Drafthouse.com/NYC. All this, plus the old BQT triumvirate of Quizmaster Noah Tarnow, sidekick EdP, and DJ GB. And you're waiting to buy tickets why? Don't! Monday, July 10, 7pm. Make it happen! هكذا نحن نكون وبامر الله سوف يكون هناك تقدم ورقى وازدهار على كافه المجالات اذا نحن نقدم الخبره المتميزه والاداء الذى يرضى العميل فنحن نستخدم احدث الاجهزه المتقدمه فى هذا المجال لذا ايضا نحن نقدم للعميل اسعار هائله وجهد كافى وكبير فى مجال تنظيف البيوت لدينا نحن الافضل فى هذا المجال. افضل شركة تنظيف فى الرياض تقدم لكم افضل خدمة تنظيف للشقق المفروشة، تتميز بوجود عمالة على اعلى مستوى من الخبرة والعمل والامانة.